I remember writing my Master’s thesis for T.E.S.O.L (Teaching English to Speakers of Other Languages) and wondering where in the world this degree could take me, and what would the start of it would look like? I was basically set on going somewhere in Asia because I had never been to an Asian country before and the vastly different cultures seemed so fascinating. I wanted to be able to save a little money while working in a foreign country, so I was doing my research mainly on Japan, South Korea, and Taiwan. Japan was on the top of my list because of all the things I had heard about the country. People all over the world know Japan as having the newest and flashiest technology. Japan is a powerhouse when it comes to technology, but the country also keeps its traditional flare. Generally the packages that came with Japan allowed you to save around 500 USD per month if you were cautious with your spending. A notable amount of saving, but I was looking for a little bit more because I wanted to save money to travel even more. I had heard from people that breaking into the Japanese culture could be hard and finding real friends was a challenge. Another thing about Japan that was a little discouraging, for me personally (I was in a hurry to leave), was that you need to apply for a visa and get lots of documents notarized. So after much thought, I decided Japan was not my starting point. South Korea was next on my list because of the insane amount of money you could save each year. I had a coworker (ESL teacher), that just came back from Korea, and he was talking about saving around 10,000-15,000 USD per year in South Korea. Did someone say, “CHA-CHING! ?” So, I did more research on Korea and found out that they are a big drinking culture (Gambeiiii! ), they love to eat kimchi and earthy vegetables (not as excited since I’m a dedicated carnivore), and they have a super modern way of living (I like the sound of that!). I also did some digging around the internet and found out that Koreans are super fashionable and they take their fashion very seriously. I was reading about getting a job at a university in South Korea and some of the requirements I kept seeing were being attractive, being white, and having blue eyes (would definitely help). I thought this was a bit ridiculous because it wasn’t even about the level of teaching skill you had. Obviously, these comments were from people (some current university teachers) posting about university jobs, not the actual employers themselves. Lucky enough for me, I fit though qualifications, but nonetheless I felt the culture might be a bit superficial. Just like Japan, you need to apply for a visa and get a background check that takes a couple months to do. So, South Korea would not be my starting point either. My next place for research was Taiwan. I had a few other graduate students and a couple of coworkers tell me about their experience in Taiwan and it was nothing short of pure bliss. This had me intrigued. When doing research on Taiwan, I kept seeing how friendly the local people are, how international the food is, and how modern the public transit is. Taiwan especially has a great variety of tasty fruits (now that’s my style). You could only save around 200-500 USD per month if you lived very humbly. That wasn’t the savings that I was hoping for, but the experience sounded fantastic. One thing that was different about Taiwan from Japan and South Korea was that you did not need a visa to enter the country (happy dancing). I was in a bit of a hurry to live life abroad, so Taiwan was my choice to start my adventure abroad. As soon as I got my Master’s degree (actually a few weeks before), I was out of the country. I was ready for a change of scenery with life. I had been working full-time at a private English center and wanted to see more of what the world had to offer while still being able to teach (and learn). I bought a one way ticket to Taipei, and I officially arrived in Taiwan in late August of 2015. I didn’t have a job lined up. I didn’t have a place to live long term. I was just taking my chances with life (Can you tell I like casinos?). The view from my first AirBnB apartment in Songshan, Taipei. You can see Taipei 101 from my window. I did prepare a little bit before I came to Taiwan. I set up to live for a week in an AirBnB apartment in Songshan, Taipei. On the plane ride over, I met a girl that had family in Taiwan. She was from the US, so we chatted a bit about Taiwan. I had no idea how to get to my place in Taiepi, and lucky for me, she helped me by showing me what bus ticket to buy and even took a taxi with me to my rented apartment. The place was super modern and it let me experience a smaller living accommodation. I knew that I would get less space to myself in Asia, but this was my first time actually tasting it. In Ohio, we have lots of land for houses and apartments. Relative to everything I have seen in Taiwan, the living areas in Ohio are quite spacious. During my first week here, I had joined several Facebook groups that were broadly categorized as teachers in Taiwan, and of course was browsing through Dave’s ESL Cafe. I searched around the Facebook groups and set up a few interviews within my first week here. I took a position at a cram school in New Taipei City about one and half weeks into me first arriving in Taipei. Finding an apartment to rent for the long term was a little trickier. I ended up renting another AirBnB place for about 3 weeks until I finally found a suitable apartment to rent. 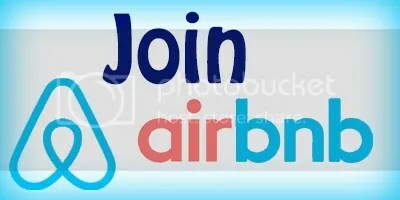 So altogether, I was hovering around AirBnB places for about a month. Luckily, I had some savings to cover these expenses. Some of the first things I noticed in Taiwan was how clean the MRT (Mass Rapid Transit) was, how many scooters there were, and how tight everything was packed together in the city. There were so many restaurants and shops in one small area I could hardly believe it. I hadn’t ever lived in a really urban area, so that is probably why this was a shock for me. The public transit is so clean. I am impressed! At the start of September 2015, I was officially working my first teaching job overseas. Everything was new and everything was great. Within one month, I had a job, an apartment, and a new life in Taiwan. Getting a single room apartment was a bit of a challenge since most landlords were afraid of the idea that an American male would be renting their room. I had heard from some of the local people that the stereotype for American males are party animals with a disregard for personal belongings. I am sure in some cases this is true, but I do not fit the mold. I am here to break the stereotype and prove that an American male can peacefully rent a nice living accommodation (ha). My first long term apartment in Banqiao, New Taipei City. The shower has three settings along with a tub for taking bathes. There is a washing machine in my room, all in Chinese as you can see. I decorated my shelf with watchful owls and mini-plants. The view from my first apartment in Banqiao. You can see Global Mall parking lot. I am glad to be in Taiwan, and I think that Taiwan is a great place to live. There are obviously some pros and cons to living in Taiwan, but that will be discussed in another article. If you have any questions or comments, feel free to share. I would love to hear about your experience as well. Feel free to disagree with anything I say! If you don’t speak Chinese, you can always use Google Chrome and have the page translated automatically. Happy Room Hunting! Stephen! I’m so glad that you picked Taiwan to be the first stop in your global journey. Great choice! Thanks Charlie! Yeah, it really is a great choice! Great article! I enjoyed reading it! Please keep them coming!